Whipworms were collected from rodents (Muridae) from six West African countries: Burkina-Faso, the Islamic Republic of Mauritania, and the Republics of Benin, Guinea, Mali and Senegal. 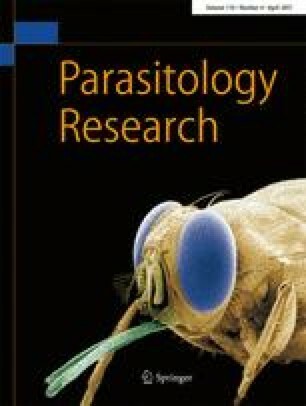 Molecular sequences (ITS-1, 5.8S and ITS-2 of the ribosomal DNA gene) and morphometric characters were analysed in Trichuris (Nematoda: Trichuridae) specimens found in seven host species: Arvicanthis niloticus, Gerbilliscus gambianus, Gerbillus gerbillus, G. tarabuli, Mastomys erythroleucus, M. huberti and M. natalensis. Phylogenetic analyses revealed three clades, one recognised as Trichuris mastomysi, previously recorded in M. natalensis from Tanzania, and the other two previously undescribed. A new species named Trichuris duplantieri n. sp., found in Gerbillus spp. from Mauritania, was characterised using molecular and morphometric methods. We would like to thank the Agence Nationale de la Recherche for providing funds for the ENEMI project (ANR-11-JSV7-0006) and the French Embassy in Senegal for having offered a Ph.D. scholarship. We are also grateful to K. Bâ, J.M Duplantier, M. Kyelem, L. Granjon, K. Mouline and E. Fichet-Calvet for the collection of certain rodent specimens.